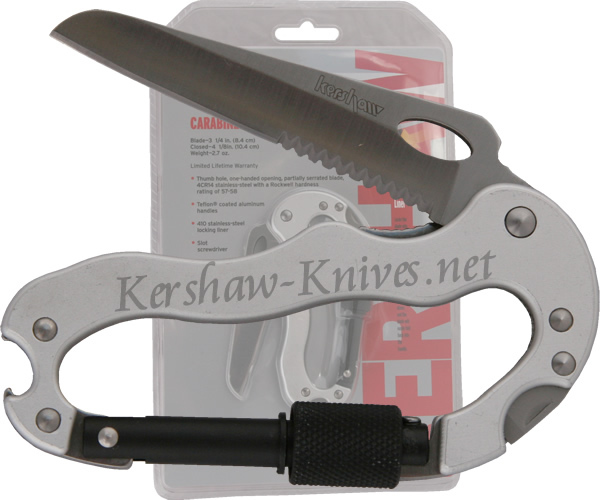 The Kershaw Carabiner Tool model 1004SLX is silver colored and has an AUS6A stainless steel partially serrated blade. A phillips screwdriver, flathead screwdriver, and a bottle opener have been included on the tool to increase the number of tasks that you can perform. The carabiner can attach itself to just about anything that can fit through the slot.